Corporate Lechuga’s is opening a second location (small kiosk) on the 16th Street Mall on May 1st, with a limited menu: Denver Canolis (sausage wrapped in pizza dough, then baked – imagine a sausage-link in a sleeping bag, open at both ends. They have been selling hundreds per day for years. The kiosk will also have chips and beverages, however, no spaghetti or pizza! 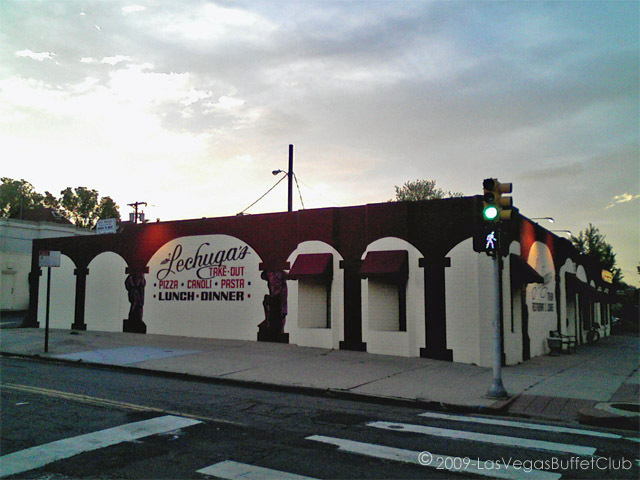 Lechuga’s, formerly Carbone’s Pizza was recently purchased by a restaurant syndicate, apparently to provide a preparation kitchen for the downtown location. Actually it’s more than apparent, two employees answered affirmatively when I asked the question. It’s also about selling more product at the Tejon location. Both locations will promote the other. The current staff is great, however, LECHUGA’S HAS LOST IT’S SOUL!